Lava Island Falls are rapids on the Deschutes River. Rated a Class 5, they are difficult to navigate because of an island of lava from Lava Butte that blocked part of the river. The Lava Island Trailhead is located in the Lava Island day use area, which is accessed by traveling about 8 miles west on the Cascade Lakes Hwy (46), then 0.4 miles south on Forest Road 41, and then 0.8 miles east on Forest Road 4120. 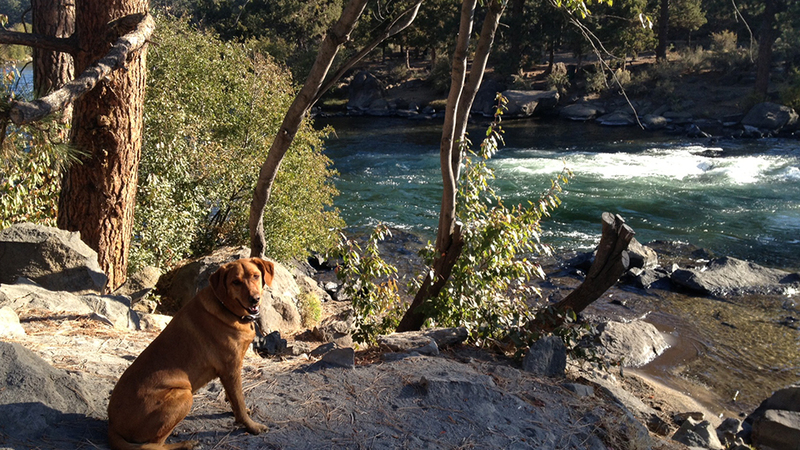 This is an excellent place to access the Deschutes River Trail for a nice hike along the river. It is difficult to see the actual waterfalls from the trail, and it is a steep, dangerous climb to get any kind of view of the falls.